There was a time, not so long ago, when my family and I would sit down on Sunday morning to have breakfast and I would watch my dad read the newspaper from cover to cover. Now, he reads the news on his phone or on his laptop. Newspaper publishers miss my “old” dad, the one who would glance over the open houses every Sunday. However, that dad just doesn’t exist anymore. The same goes for so many other moms and dads who read the news every Sunday. It is a dying medium. Many believe that most traditional newspapers will be out of commission in the next decade with the enormous popularity of the Internet over the last 10-20 years, which is why so many regional or national print players are now promoting paid online news subscriptions to their sites. It is an exclusive medium. Some major publications, like the Wall Street Journal or the New York Times, believe that still getting that weekly paper brings exclusivity to the person reading it, a certain economic status. Many brokerages prefer smaller publications because major/regional pubs are very costly. They see local publications as a way to stay connected with their local consumers, where regional publications aren’t as hyperlocal with the listings they share in their newspapers. Regardless, so many local real estate agents beg their brokers to continue print media campaigns, not thinking of the return on investment (ROI) print has, just wanting coverage in as many different media as they possibly can. 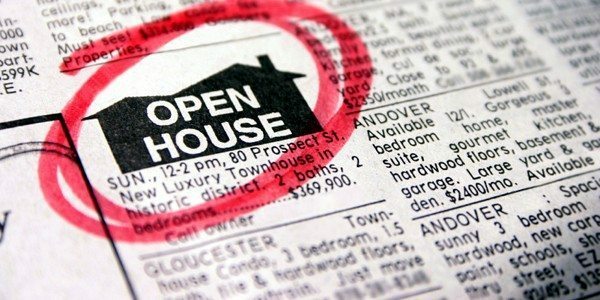 According to the National Association of Realtors, more than 90 percent of homebuyers begin their search online, while only 27 percent stated that they bought a house they saw in the newspaper. Another major concept to think about in this argument is the functionality behind listing online versus listing in print. National listings aggregators like realtor.com, Trulia and Zillow have theorized major search metrics in optimizing the amount of eyes viewing a particular listing, especially listings where a paid search campaign is in place, whereas those few who still read the locals can easily lose a listing when skimming over the 2-by-4-inch, black-and-white local listing ad below the fold on page 6 of the real estate section. Also, tracking view is much more possible online than in print. With digital, the listing broker can quantify the amount of consumer engagement by tracking impressions and click-throughs, while with print, the only traceable functionality is the “Mention that you saw this ad in the _____ News!” line at the bottom of the page. Again, listing in print vs. listing online has been a major debate for local brokerages. Many newspapers have made somewhat of a transition to more of an online presence because they also see a major change and they still want to survive. All I am saying is, my dad no longer looks for news “above the fold” in print; he looks for news that is worthy of being “above the scroll” online. Mark Stansbury is the marketing communications specialist for Prudential New Jersey Properties; he manages the social media, blogging, public relations and advertising for the company.